You’ve worked really hard to get where you are. Go ahead, toot your own horn. You deserve it. We know running your own website can be lots of hard work — and that’s not even counting the challenges, learning curves and (probably) late nights you’ve endured in the process of getting where you are now. That being said, nothing is more demoralizing than putting your best efforts out there on the web for everyone to see, then scanning your analytics and seeing low page views on your blog or website. Sure, numbers aren’t everything, and traffic takes time, but likely you’ve started producing content with the hopes that you can get eyes on your site, and ultimately, the website you’ve worked so hard to create. We want that for you, too. In an effort to expand your marketing toolbox and drive rush-hour-loads of traffic to your site, we’re chatting social media — the deets of each channel and how to utilize various platforms to promote your blog. Goodbye, single-digit stats. Hello, Page views (with a capital P)! Internet users are social. That much is obvious. And from these numbers alone, we can see that social media is a big market, likely under-utilized or misused by many sites in generating traffic and promoting blog posts. Thus, tapping into these platforms means big business for the promotion and growth of your blog. How? Let’s analyze it as a marketing tool. Time to don a new hat — that of a marketer. Ninety-one percent of retail brands use two or more social media channels, and 81 percent of small and medium businesses use some kind of social platform. To build and engage audiences, you need to be socially connected to generate more traffic to your site. How? First things first. As we mentioned, you can probably garner a lot of useful social media info based on your own social habits, but consciously keeping your finger on the pulse of social conversation (think of it as honing your social listening skills) will help you better understand how to launch your social media plan of attack to build your site traffic. Plus, social media is always changing and evolving, so you need to be in tune with social platforms to keep up with the most effective marketing methodology for each one. Don’t sweat algorithms too much, just keep learning and testing what works best for your audiences. Social media channels also present a useful two-way system of accepting user feedback and gathering relevant user-generated content. Using social media as a marketing tool doesn’t have to be tricky. We’ll walk you through some social media marketing best practices, then investigate how you can you utilize each unique social channel to promote your content and start building traffic on your blog. Buckle up — and grab a pencil: it’s time for Social Media Marketing 101. Social media marketing requires individual, customized efforts (as we’ll discuss later), but there are a few good-for-traffic practices of general application that you can implement in your efforts to market your blog. 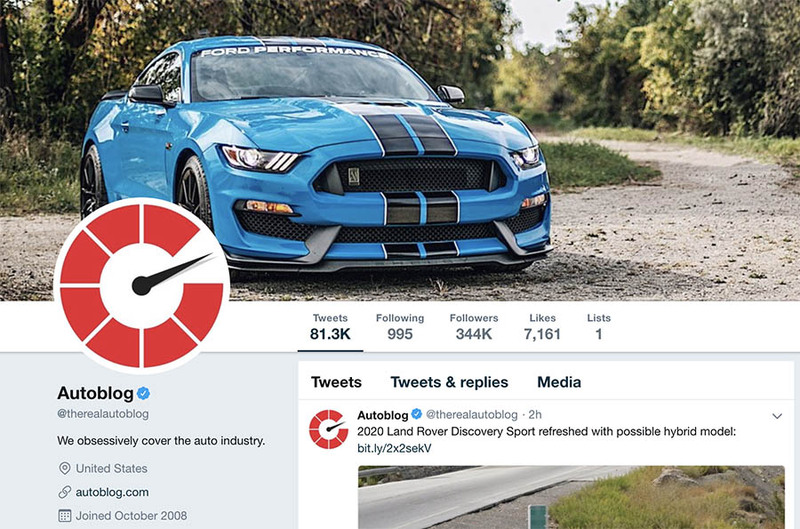 Autoblog’s Twitter profile has a handy and convenient link to their blog direct from their bio. Even though most social media channels have the same basic underpinnings (sharing content, connecting with others, etc. ), that is really the only tie that binds them. Each platform structure is unique and they each operate on different models. That being said, the way you promote your blog or website on social media cannot be one-size-fits-all. The marketing of your blog on Instagram will likely not work on Facebook, and what works on Twitter will definitely not work on Pinterest. You get the idea. 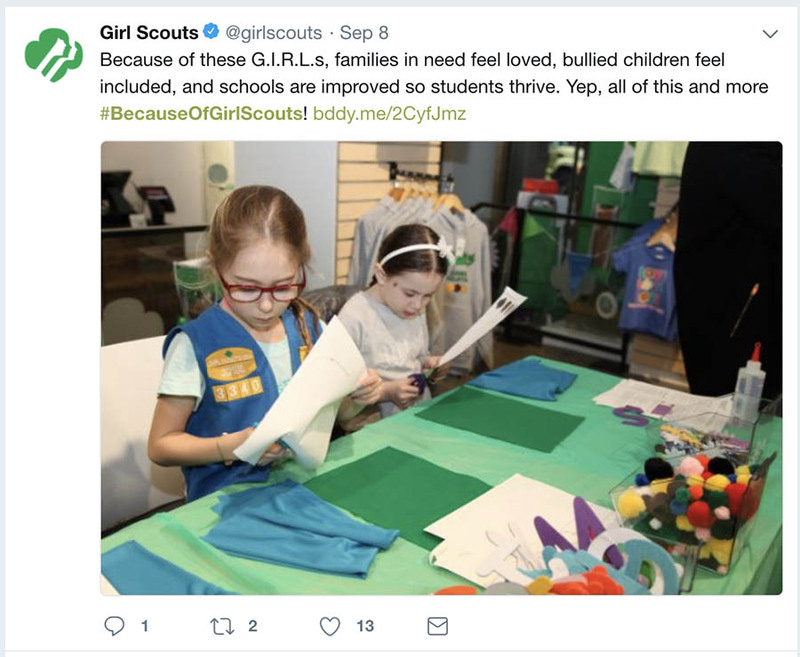 Plus, social content just CTRL+C-ed onto each platform is not only lazy, but it could be off-putting to audiences — this repeat approach can appear spammy. You definitely don’t want that. As you develop plans to promote your blog posts on social media (see next point), take each platform into account. Tailor your content to each platform individually based on the mechanics of each channel. (Learn more about these models in our platform breakdown section to follow.) And know this: you don’t have to have 15 different social media accounts. It’s 100 percent fine to pick a few and focus on excelling at those. Know (and respect) your limits. 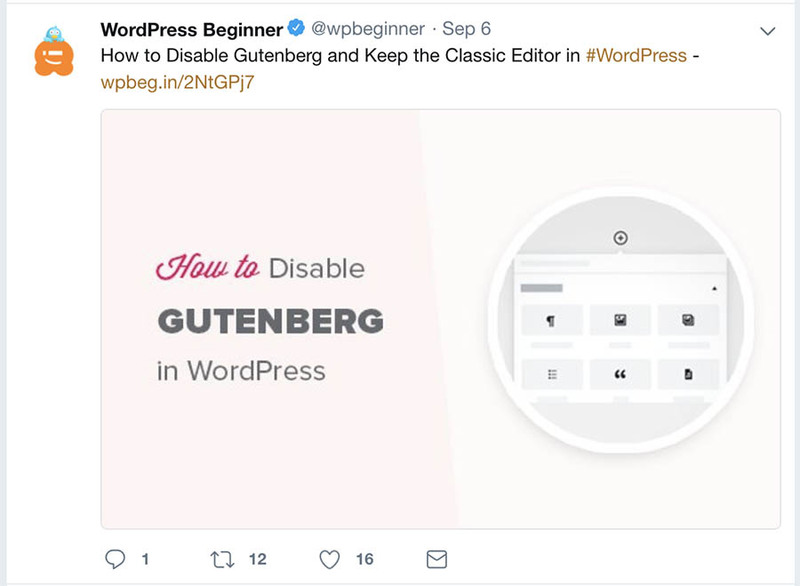 The WordPress Beginner website adjusts how they present the same content on Facebook and Twitter. With everything you have to do to keeping your website up and running (we know the to-do list is never-ending), you’ll need a way to stay organized — and keep yourself sane — as you promote your blog on social media. After you’ve planned out tailored content for each channel, schedule your posts so you can set them and go. Programs like Hootsuite or CoSchedule work excellently for this multi-channel scheduling. Plus, scheduling content ahead of time helps you keep content consistent and tap into the best posting times for each platform without forcing you to be online every second of the day. It will take time to figure out the best times and posting frequency for each platform, so don’t worry if you have to keep tweaking and refining your social media scheduling. Rather than just a here or there tweet or Instagram post, you can use social media to attract audiences to your blog in new ways. By creating social media campaigns (and using hashtags in the right places), you can implement focused, concentrated efforts that can yield a greater return on engagement and traffic to your blog. Plan timely campaigns by setting goals for your desired engagement and how that engagement will translate to new blog traffic. 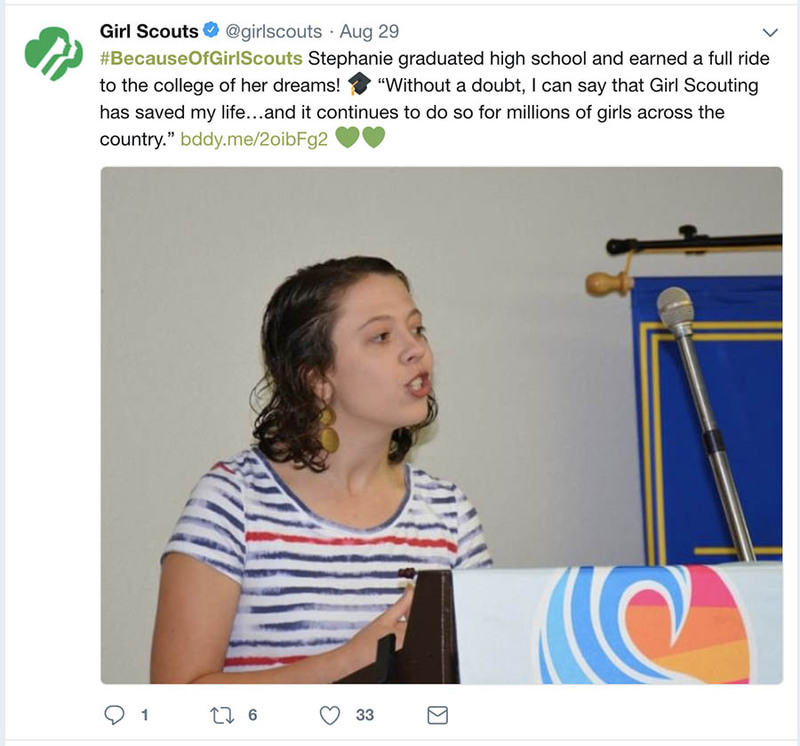 Girl Scout’s ongoing #BecauseofGirlScouts Twitter campaign gives them a unique way to share content, and — bonus — invites lots of user-generated content from followers and influencers. From now on, view (creative) bandwagoning as a good thing. As you hone your social listening skills, you can learn to tap into the pulse of virtual buzz and social trends on each platform and customize content to utilize the already-built hype to fuel your efforts to find new audiences. Whether you’re riding the wave of the #InMyFeelingsChallenge, the latest iPhone emoji, or an upcoming holiday (National Pizza Day, anyone?) or season, the natural conversation of buzz-worthy topics can serve as traffic-building vehicles. 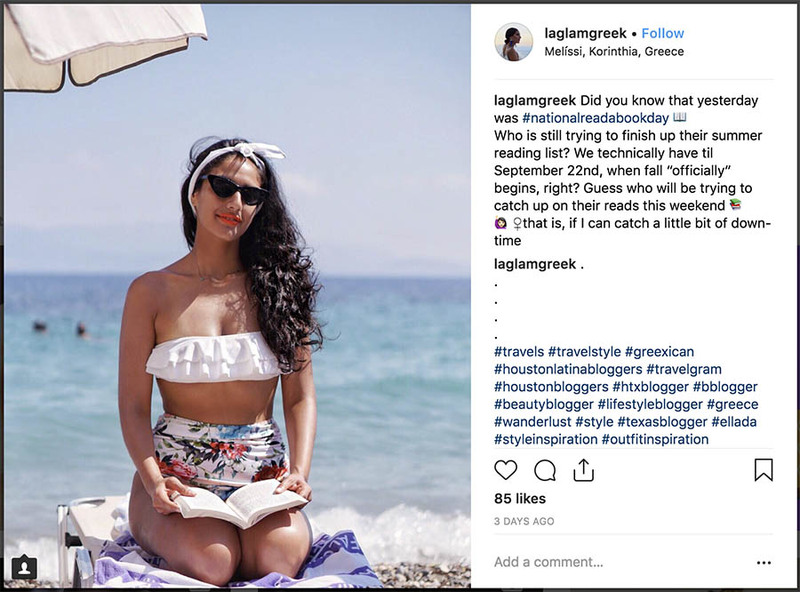 Maria of lifestyle blog The Glam Greek utilizes the buzz of #NationalReadaBookDay to engage ‘grammers and promote her blog. 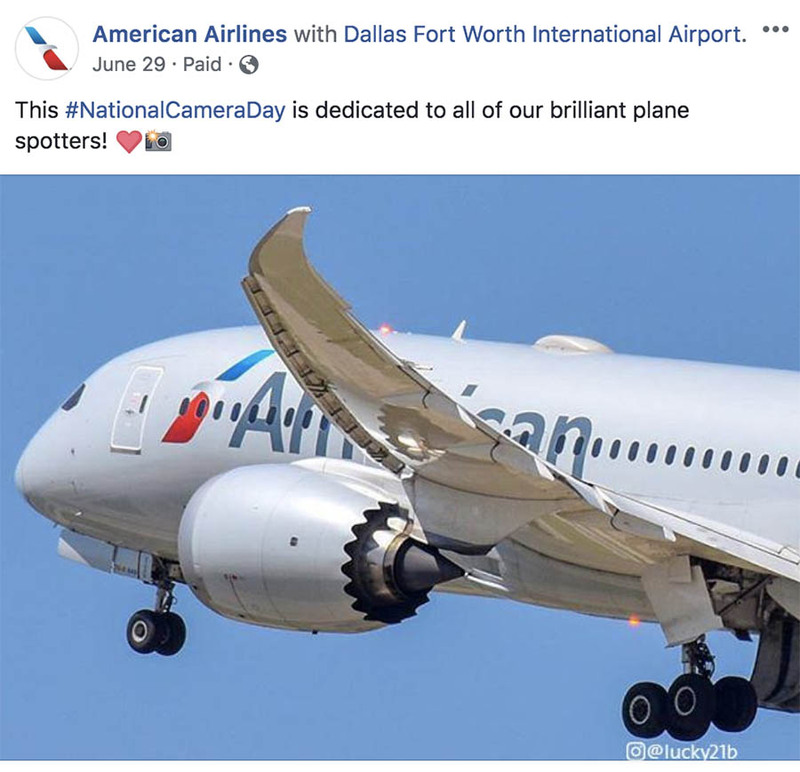 American Airlines uses Facebook to share content related to the trending #NationalCameraDay topic. 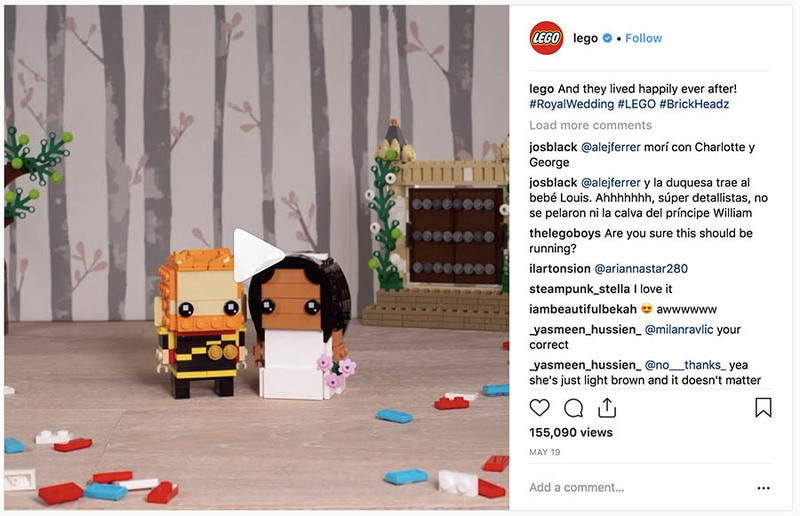 Talk about relevance: Lego’s Royal Wedding-themed Instagram post was promotion perfectly timed. 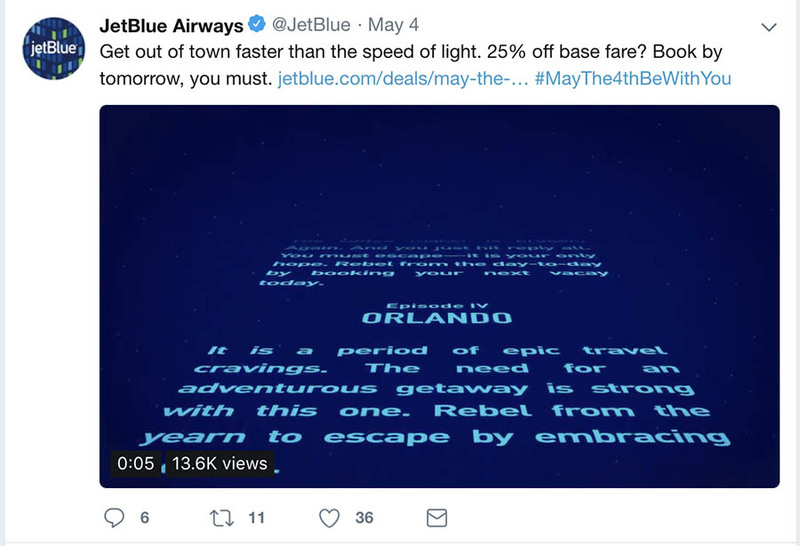 Embracing the Star Wars-themed holiday with a smartly-designed tweet? Social media marketing brilliance. Kudos, JetBlue. Let your social media marketing efforts work together. 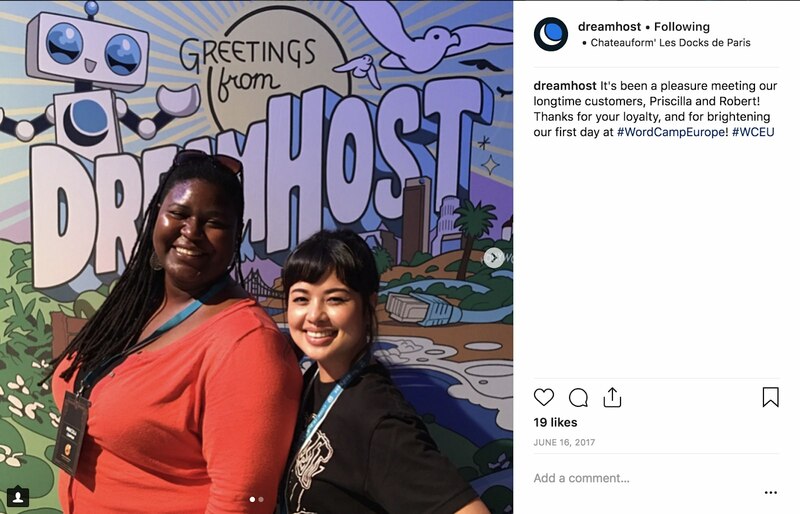 Instead of merely recycling content across platforms, share unique content on each platform that connects users to the content on other platforms — for example, you could share a “behind-the-scenes” moment on your Instagram story while sharing a post excerpt or reader comment on your Twitter. 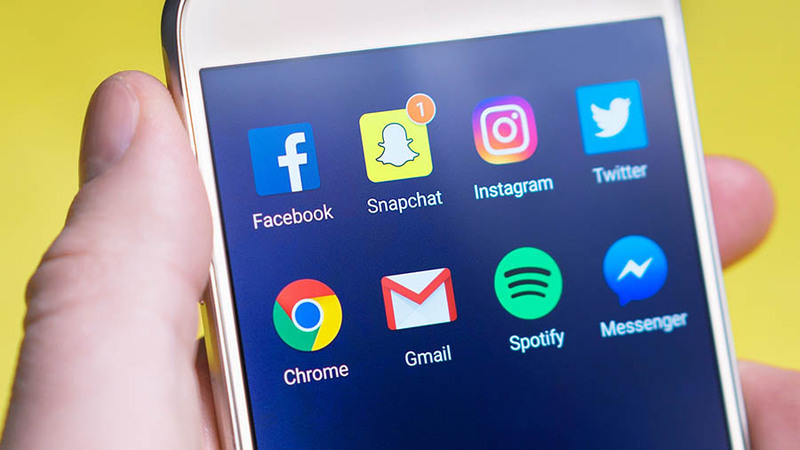 This only-get-it-here method of social marketing will help encourage users to engage with you on multiple platforms — thus getting even more exposure to your marketing efforts. Ready for a whopper of a fact? Here goes: 91 percent of social media users are accessing social channels via mobile devices. 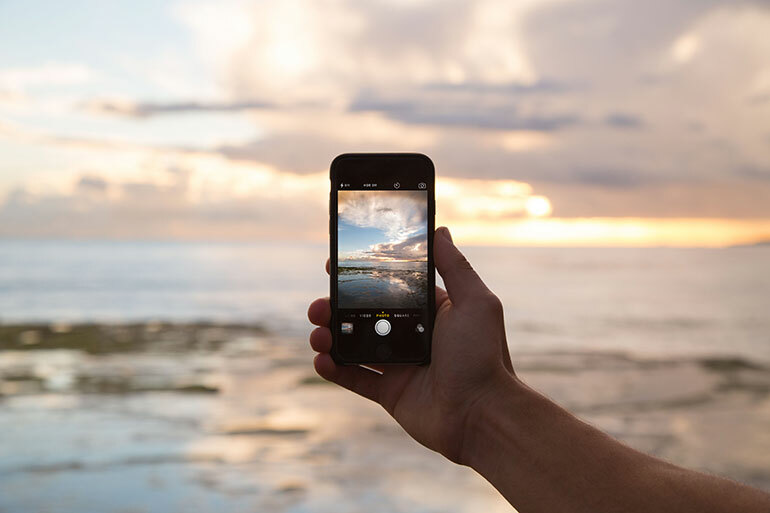 With the total number of mobile phone users reaching more than 5 billion (up 4 percent from last year), more people than ever are accessing their social media channels on the go. 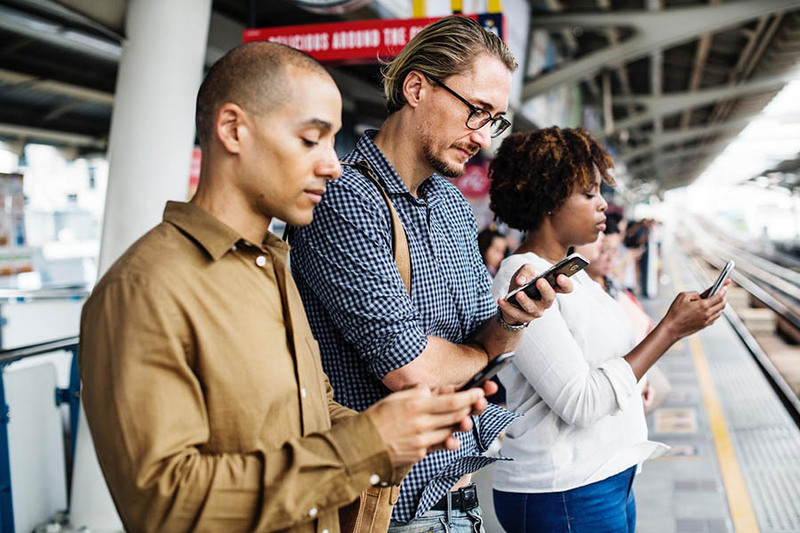 Simply put, this means that your content — both on social media and on your website — needs to be mobile friendly, optimized for smartphone-toting audiences, whether they are commuting to work, on their lunch break, or in line at the supermarket. Just because you’re intent on upping your social game to bring increased traffic to your blog doesn’t mean you can ignore the necessary task of optimizing your content (and website) for search engines. We’ve got A-plus guides to SEO — check them out here. Because social media changes so often, and marketing on the various platforms can be a trial-and-error process, you need to keep tabs on what’s working — and what isn’t. A social monitoring tool like Sprout Social or Social Report can give you valuable insights on social media activity and the results of your marketing efforts. Also, take notice of the referral section of your blog analytics. Where is your traffic coming from? Are audiences flocking from Instagram? Then you’re doing well on that network — so keep continuing efforts there. Little to no crowds visiting your site from Facebook? Looks like you know where to evaluate and adjust. Staying clued in to analytics helps you not only keep your audience in mind, but also continue improving your way to blog success. Let’s break things down. Since there are so many social media platforms these days (it seem like a new one pops up every day), we’re going to cover five main channels, identifying what marketing efforts might look like on each platform, and what’s important to know about each individual social network. Each channel offers you many different ways to promote your content, so it’s important to be familiar with each — including character limits, demographics, and optimal posting times. 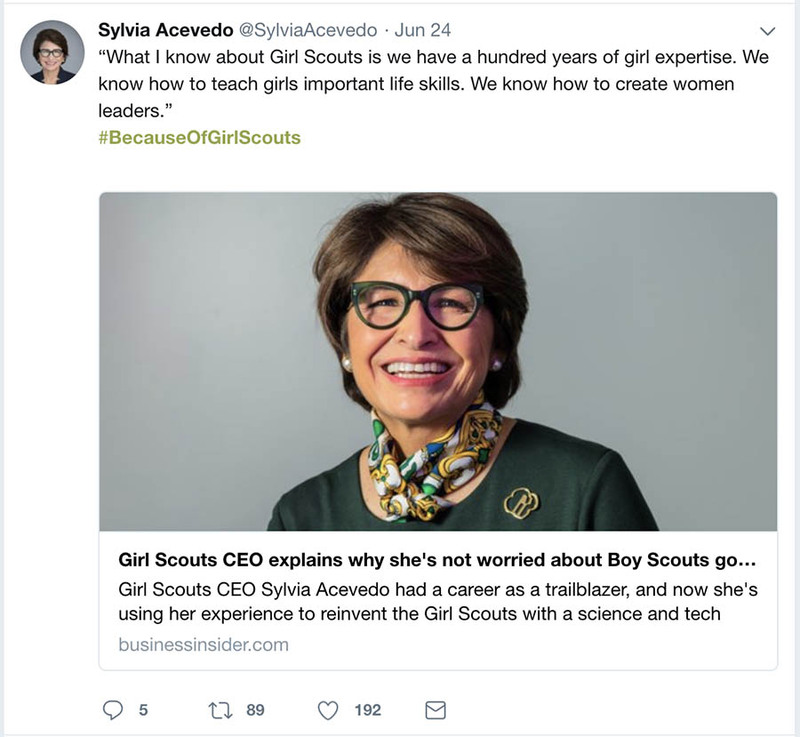 Still, the time to be a social media guru is now — the practices that are most effective on social media often change over time, so it’s essential that you keep up your social know-how. That being said, it’s time to log in! Post Character Limit: 10,000 but only the first 480 characters are visible in the timeline. The rest are hidden with a “See More” link. So, hint: best to keep your post to 480 characters or less. The rest of your text will likely not get seen. In fact, reports show that the optimal length for engagement is less than 80 characters! Even though to some it may feel like the millennial version of Myspace (aka the web’s ghost town), in reality, Facebook is still ruling the social media game, with total users reaching almost 2.17 billion at the beginning of 2018. Plus, (with the exception of people over the age of 65) more than half of Americans in each age group are Facebook users. That’s a significant range. Because it largely dominates the social landscape, it’s important — even crucial — to understand the platform in order to promote your blog well. A recent Pew Research Center survey revealed that a majority of adult Americans — 73 percent — use Facebook. That being said, it remains a primary social platform, and while total time spent on Facebook daily has decreased over time to 35 minutes, it is checked the most frequently of any platform — eight times a day. Eight! Facebook allows you to promote your blog via your profile, pages, and in groups. Keep posts visual — meaning, include high-quality images — and consider putting your link in the text field instead of using the automatic link preview post. This hack has shown to help increase engagement on your post. 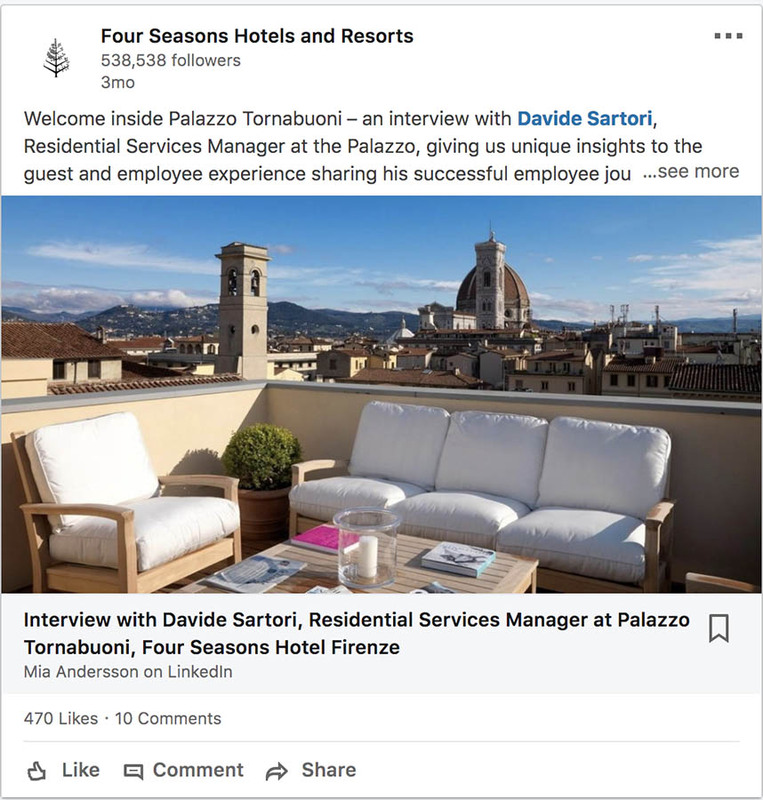 Plus, another plug for visuals: images on posts are automatically added to your Facebook album so your audiences can access them (including your links) in one convenient place. Use engaging and inviting text on your posts, encouraging your community to share their thoughts and opinions. And even though it’s tempting — like, aren’t they awesome for turning posts into searchable content? — avoid using hashtags. They’ve historically not been great for engagement on Facebook. 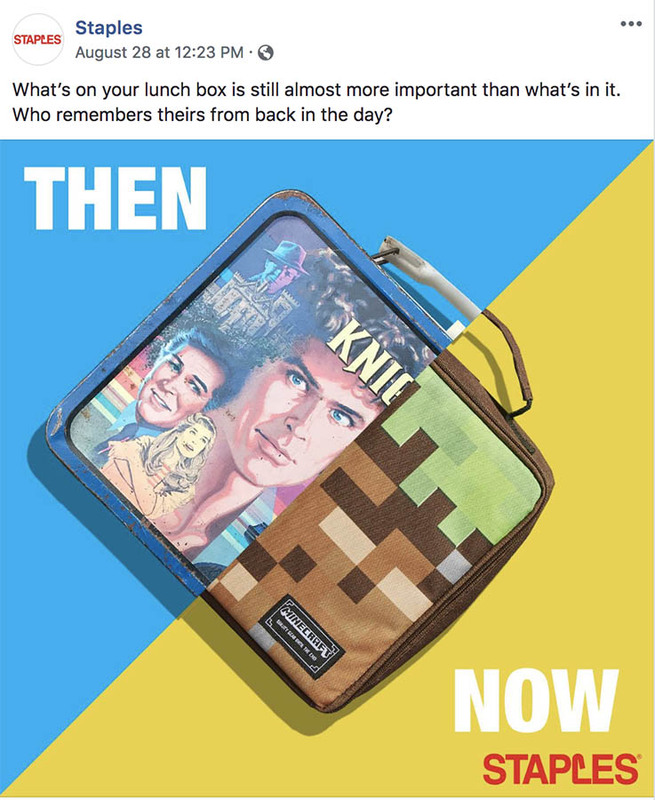 Loving this timely, fun, and engaging post from Staples. Switch up the times you post and the text you use to promote your blog content (keep it fresh!) in different areas of Facebook, whether that be on your main page or in groups. Don’t shy away from resharing evergreen content mixed with other useful and relevant content. ‘Author and writing blogger K.M. Weiland uses Facebook to encourage conversation and promote useful blog content. 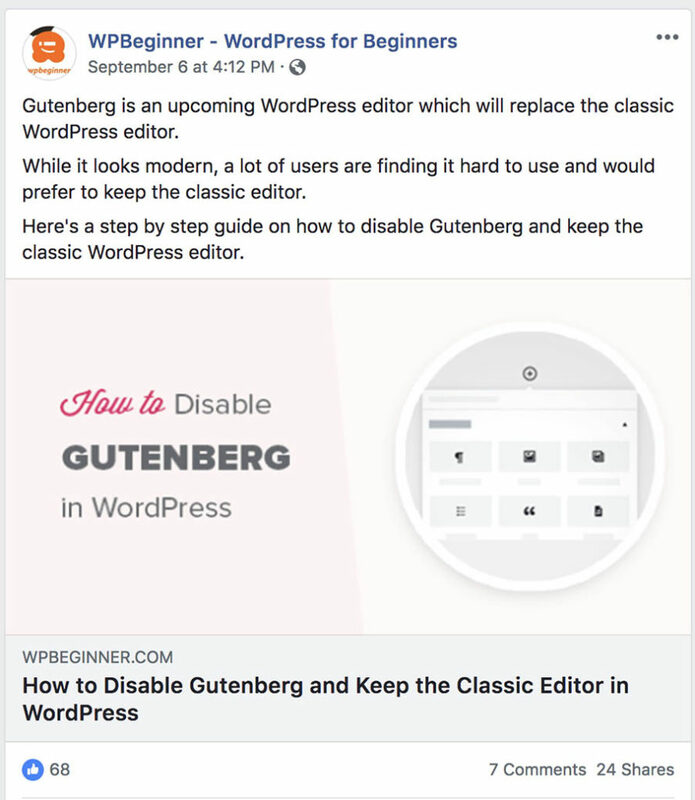 If you’re looking to venture into Facebook (or other social) Ads to promote your blog, read up on social media advertising with a guide like this one. And the last word for keeping things mobile optimized: 19 percent of time spent on mobile devices is spent on Facebook. Just let that one sink in for a minute. Nineteen percent of all time spent on mobile devices. 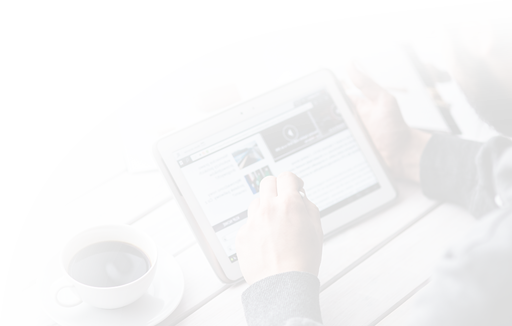 To build your blog audience, the content you share has to be mobile-friendly. Key Times: Weekdays (Thursday is shown to be the day with the highest engagement) at 5 a.m., 3-4 p.m.
Post Character Limit: 2,200; 30 hashtags. The ideal length for captions is 138-150 characters, with 5-10 hashtags. You don’t have to be Selena Gomez or Cristiano Ronaldo — aka, Insta’s Most Followed — to effectively reach and target new audiences for your blog. 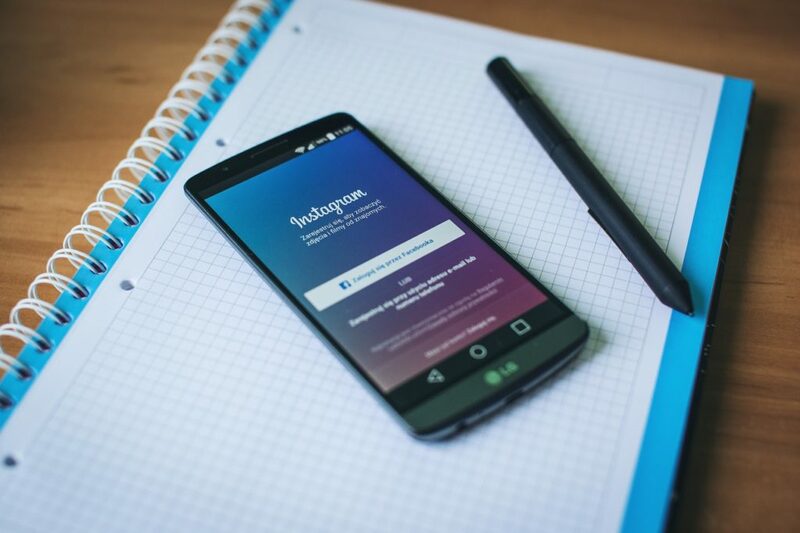 Instagram is growing in big ways, (especially after its buyout from Facebook in 2012) meaning, the platform is ripe with possibilities for you to promote your blog or website. There’s a lot of love (and happiness) going around Instagram. Meaning, users double-tap more than 4 million posts a day. Because of this, the platform has the highest interaction rate of social networks, with 2-7 percent of users interacting with each post. Posts geotagged with a location earn 79 percent more engagement so let your audiences know where you are. You don’t want to give users your home address, but if you’re crafting content from an interesting location or visiting a site — share it! Yep, we’re on Instagram! Follow us for updates on our around-the-world adventures in hosting. As you work to understand what’s effective on each social network and what isn’t, there will be (lots of) trial and error. Some posts will perform well, some won’t. That’s part of the learning and refining process. But to increase the likelihood of engagement (and ultimately, the traffic to your blog), keep a close eye on your analytics and replicate the elements of your most successful posts. You don’t have to be ridin’ solo when marketing on social media. Likely, you will connect with other like-minded sites or businesses with whom you can mutually benefit in your work to promote your brands. Whether your partnering up for guest content on each other’s blogs, or simply promoting others’ posts, tag-teaming is always a good idea. Editing service Grammarly collabed with Glassdoor to provide valuable resume writing tips. A big part of Instagram’s recent growth is due to its Stories feature. It’s also helped increase the amount of time people are spending on the network — users under 25 years of age spent more than 30 minutes a day, while those over 25 spend more than 24 minutes a day. 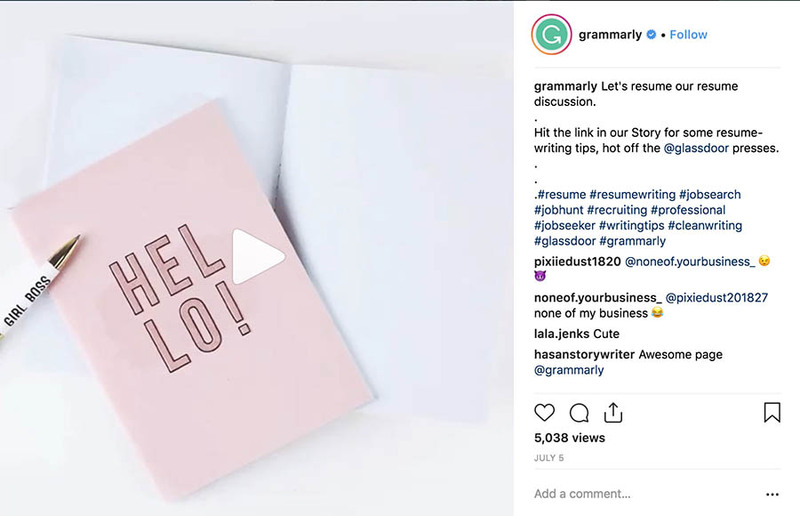 Using stories — whether to link to new content, share sneak peeks of upcoming content, or build your brand — can help you increase your engagement and traffic. Here’s a hopeful number for you: 75 percent (yep, three quarters!) of Instagram users take action — like making a purchase or hint, hint, navigating to a website — after visiting a post. Audiences are willing (and likely) to act, you just need to point them in the right direction. On your posts and stories, give your audiences specific instructions on what to do next — most likely, a link to visit your blog. Don’t worry. You don’t need to be a stand-up comic or prolific wordsmith to create captions that engage. But you should think about them. A lot. 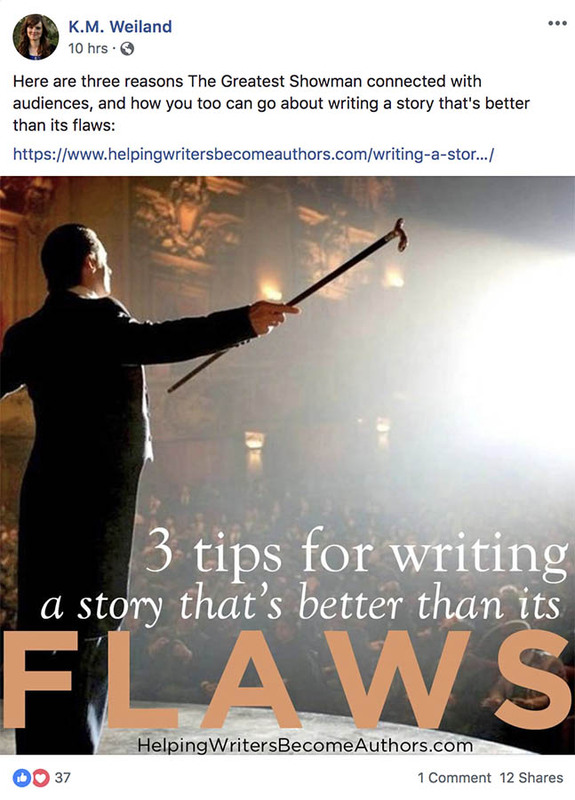 Hastily throwing up a haphazard caption isn’t just lazy — it’s a missed opportunity to attract new audiences to your site. Showcase your voice and the personality of your blog by crafting captions that are playful, smart, and character-conscious. 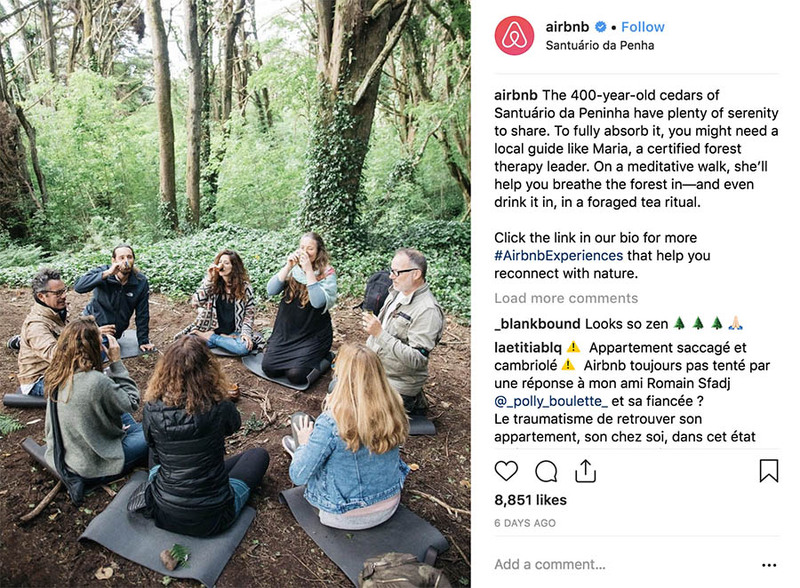 Airbnb’s Instagram captions give you wanderlust with vivid details and a storytelling feel. Re-read before posting to catch spelling or grammar errors and to identify any other potential mistakes. Also, make sure to plan out and utilize relevant hashtags. Don’t stuff (hand-pick a few) with unnecessary or inaccurate hashtags just to get seen. Businesses and websites aren’t the only ones generating impressive content on Instagram. Often, run-of-the-mill everyday users can provide you with great social content. And if they’re sharing, commenting on, or otherwise engaging with your blog or content, that product is gold. Share it! 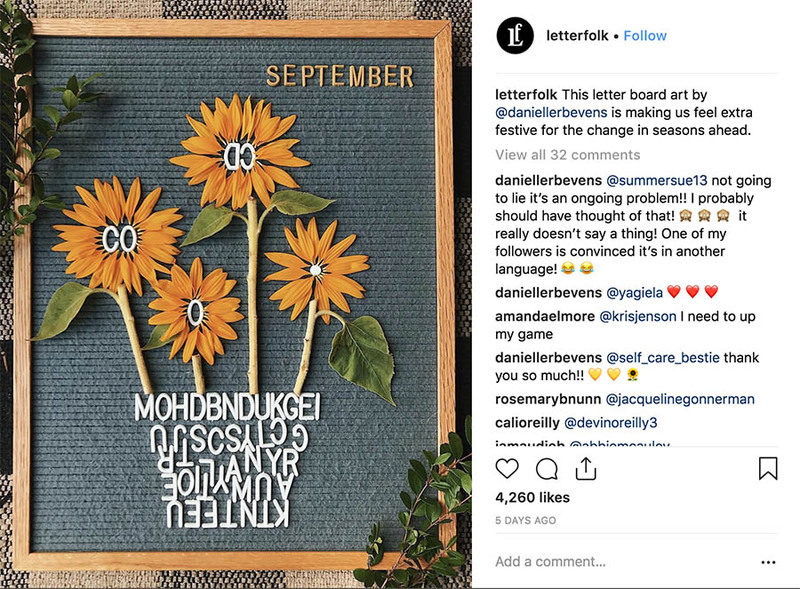 Letterfolk embraces the creative projects of their customers to promote their product. 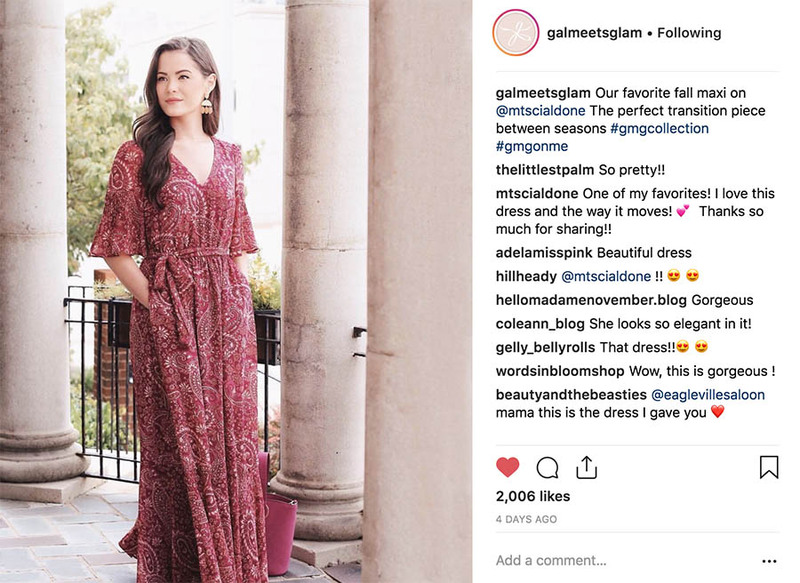 The Gal Meets Glam lifestyle and fashion blogger Julia Engel shares user-generated content with customers of her dresses. So it doesn’t necessarily have to be your face, but reports show that Instagram images featuring faces get 38 percent more likes than faceless ones. Whether you want to take your own photos or invest in high-quality stock photos, make sure to get some people in your shared images. 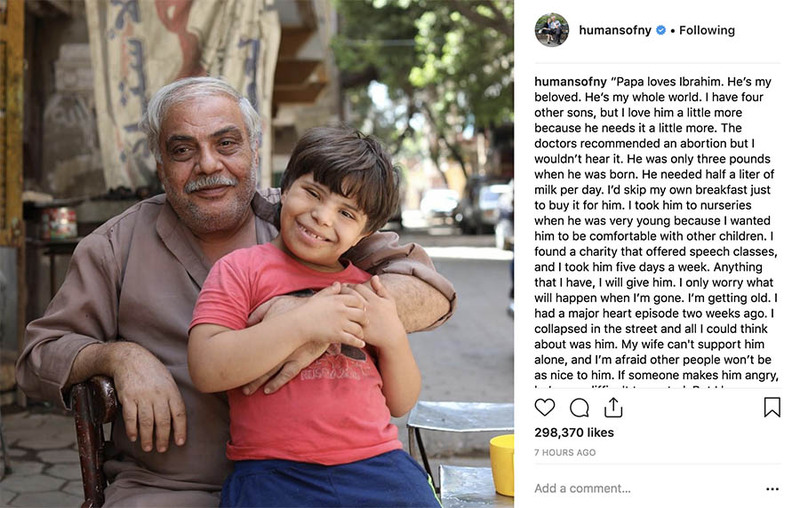 Humans of New York is one of the best examples of people-centric social images. And their stats are proof: it’s engaging. Main Demographic: 18 to 29-year-olds make up 36 percent of users; 22 percent of 30 to 49-year-olds. Key Times: Wednesday, 9-10 a.m., 2 p.m.
Post Character Limit: 280 (images and beginning-of-tweet handles don’t count toward the limit). Ideal character amount is 71-100. Content on Twitter is high volume (there are more than 350,000 tweets sent every minute), which is why sharing or retweeting a higher number of tweets every day is OK — and why it’s easier to get lost in the shuffle if you’re not crafting and tweeting out good content that’s well-worded, well-timed, and accompanied by strong visuals. Because 42 percent of Twitter users access the app every day, you have daily opportunities to build traffic to your blog. 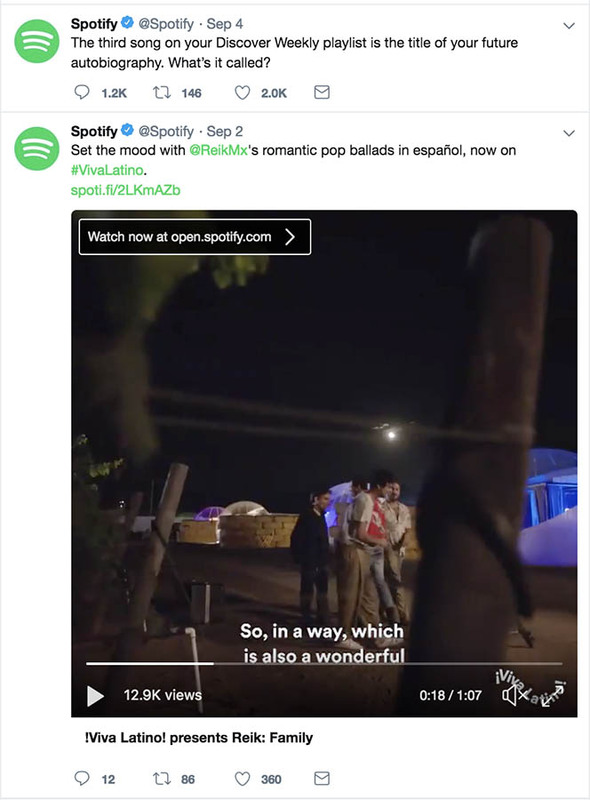 In addition to promoting their site’s content in creative, visual ways, Spotify uses Twitter to engage audiences in conversation. That being said, Twitter isn’t just a way to tweet out links to new blog content. It’s also a way to communicate with audiences. 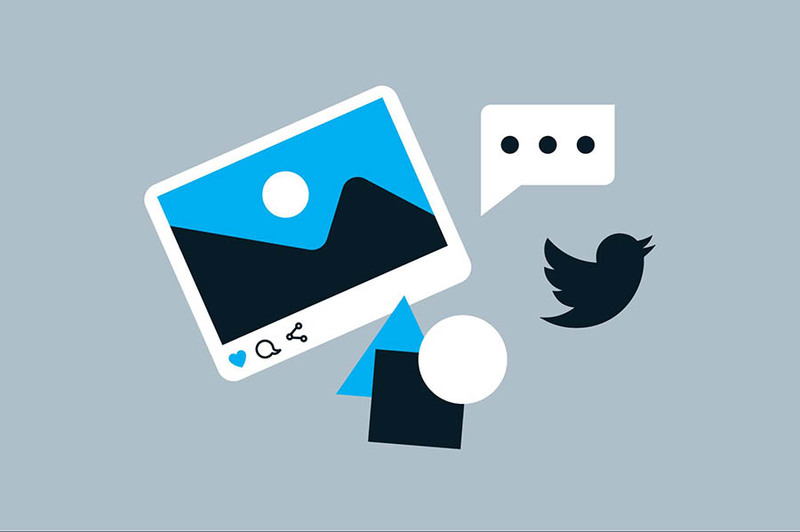 Engage with users by leveraging Twitter chats, responding to comments, sharing polls, and utilizing trending topics or hashtags to join buzzworthy conversations. Main Demographic: 30 to 64-year-olds make up 61 percent of users. Key Times: Wednesday, 3-5 p.m. Ideal Posting Frequency: At least once a week, not more than once a day. Despite its long-held rep, LinkedIn isn’t just for suit-and-tie professionals looking to push their resumes or companies seeking their next great employee. LinkedIn is a social network that actually has excellent opportunities to market your blog and attract readers. Forty-six percent of social traffic to corporate websites comes from LinkedIn. 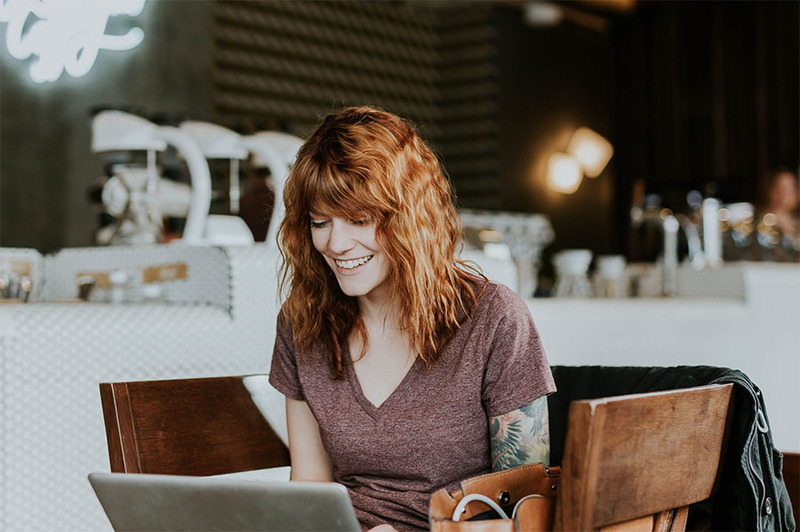 It’s one of the leaders in driving audiences to business blogs, so it can be a good network to utilize for building your own blog traffic — and traffic that’s willing to act and more likely to remain loyal. Long-form content gets the most shares on LinkedIn, so don’t worry about being long-winded. Create valuable content and take the space you need to do so, then share it on relevant Linkedin groups that will engage users and direct them towards your blog for more. And don’t forget visuals: posts with eight images outperform the rest. Main Demographic: 18 to 29-year-olds make up 36 percent of users, 30 to 49-year-olds make up 34 percent; 70 percent of users are women. Even though it seems like we’ve passed the heyday of Pinterest prime, the image-centric social channel is still fourth in popularity, and it continues to grow. Plus, Pinterest isn’t just for virtual vision boards (like that secret wedding board or ambitious meal plan pins you’ve stored). The platform actually offers you some really fantastic ways to promote your blog. For example — while on many sites, branding content has become tiresome to audiences, 78 percent of Pinterest users welcome content from brands. Plus, the way you promote your blog content through pins isn’t just a one-and-done affair. You can continue to receive engagement long after you’ve hit submit. Users save your content and can continue to revisit it after time has passed. This gives your shared content a longer shelf life than most social media efforts have. Cool, right? Plus, in addition to blog content, you can create value by pinning material related to the theme or niche of your blog. This can help you build your brand — and your audience. Feel like a social media expert yet? Don’t worry. We know it’s a lot to process. And that’s only a sampling of social. If you’re looking for ways to branch out into new social territory when you get the hang of a few major channels (the ones that work best for your audience), look into other platforms, like YouTube (a social biggie), Tumblr, Google Plus, Reddit, Medium, Snapchat, and more. There are Google communities, vlogs, and reblogging to master next. Just know this: each social media platform offers you different ways to promote your blog. Not only do they differ by algorithms and operating models but also on character limits and image sizes, community interaction, main demographics and the tactics that make marketing efforts successful on each one. It will take time to find your social groove (and to stay on top of ever-changing social trends and models), but putting your best efforts into promoting your blog on social media will lead to your end-of-the-rainbow gold: more eyes on your A+ blog. Score!